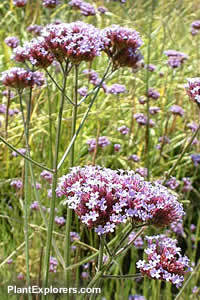 This perennial species may be treated as an annual since it usually flowers in its first year. Tall thin stems, often more than a meter in height (3ft) are topped with clusters of tiny purple flowers during the summer. Excellent in dry gardens. Good cut flower. Sow seeds indoors in early spring - or where they are to grow in late spring or early summer, for blooms next year. Keep seeds evenly moist until growth is evident. Well-drained, to sharply-drained moderately-fertile soil will produce the best results. For maximum freshness, please keep seed refrigerated in its original packaging until it is time to plant.